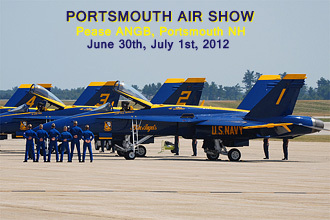 Portsmouth International Airport at Pease in Portsmouth NH welcomed back the US Navy�s Blue Angels for the 2012 Air Show. The Blue Angels were last at Pease back in 2010 and put on a fantastic show. The show was held on June 30th and July 1st. The weather was very hot with temps being in the upper 90�s both days. 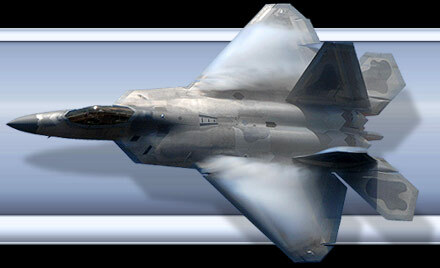 The year prior the air show didn�t have enough concessions or water and they really had a problem. This year they brought in free water stations and doubled the number of concession stands but I think the crowds stayed back because of the problems the previous year and the heat. For Civilian Acts the show had The Black Diamond Jet team. This is a 6 jet team but because of other commitments they only brought 2 of their L-39�s and left the Mig-17 which was such a hit last year. Michael Goulian and Sean D. Tucker were here and I had the chance to photograph Sean out at the poles where he cuts the ribbons 3 different ways. It was pretty amazing being that close to him while he�s only 30 feet off the ground. Dan Marcotte flew in his Pitts and Dan McCue in the F4U Corsair; they flew with a P-51 known as �Quick Silver� aerobatics. Panchito, the B-25 which is part of the DAV outreach program to increase public awareness for disabled veterans also took flight along with a TBM Avenger. Jane Wicker Wing Walker who flew with the 450 Stearman was very impressive. She flew sitting on the wing as the plane was inverted! Our 157th ARW sent up a KC-135R Stratotanker for a few passes. The Golden Knights flew the opening act and then did a mass jump in the afternoon. The Blues put on a great act; the original C-130 painted to match the Blues and known as Bert was in the repair depot so they brought up a Marine KC-130T which was called Ernie. Just not as nice to photograph as Bert� The #6 solo had some incredible take offs at Pease, he would clear the runway and lift off past the fence line, past the access road to the golf course and pull up at the end of the driving range. On Thursday I was probably 50 ft away from where he lifted straight up, it was just awesome to watch! I would like to thank Andrew Pomeroy of the Pease Development Authority who gave me access I couldn�t have had even with press passes. This was the last show with this air show promoter so it�s uncertain when the next air show will be held at Pease. I really wish the NH ANG would step up and take it on like all the other guard units do in New England and keep the show affordable for those who attend.